Business law encompasses all of the laws that dictate how to form and run a business. The experience of the business lawyers at Eliopoulos & Eliopoulos, PC. includes all of the laws that govern how to start, buy, manage and close or sell any type of business. These laws establish the rules that all businesses should follow. Starting a new business can be one of the most exciting opportunities in your life. It is important to have an experienced business lawyer to advise you. In assisting our clients, our business attorneys’ first step is to determine what type of business entity to form. The most common options are sole proprietorships, limited liability companies (LLC) and corporations. The LLC is a frequent choice for new businesses because of its simplicity in preparing and administering, while still offering the basic protections of a corporation. Whatever entity you decide is best for your new business, our business attorneys can help you form it, file the necessary paperwork with the Secretary of the Commonwealth, develop the operating agreement if necessary, and even prepare and file the required annual reports. Our business lawyers represent both buyers and sellers of businesses. 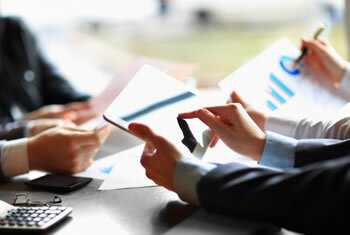 Generally, the purchase or sale of a business will be in the form of an asset purchase, where the buyer purchases some or all of the seller’s assets, without taking on the seller’s debts and liabilities; or a stock purchase, where the buyer purchases all or most of the seller’s stock and “steps into the shoes” of the seller. Careful consideration will take place to determine which option is in the best interest of our client. From there, our firm can assist in negotiations, drafting the preliminary and final agreements and documentation, and closing the transaction. Based on the type of transaction, we will perform an in-depth investigation of all of the aspects of the business, its assets and liabilities, and make sure there are no outstanding expenses or taxes to be paid. The goal is to ensure that the company’s finances are accurately represented, and that the proper representations and warranties are in place. The purchase of a business often includes lease negotiations with commercial landlords, as well as obtaining new business licenses and permits from the appropriate governmental agencies, such as Seller’s Permits, Contractor’s Licenses, Liquor Licenses, etc. We can assist you through every stage of this process. For more information about our practice or legal guidance in Business Law, please send email here, or call us at 978-250-3800.